Kroger, whose supermarket chains include Ralph’s and Food 4 Less, will add more than 225 Ecotality quick-charging stations at stores throughout the western US to bring its total to almost 300. 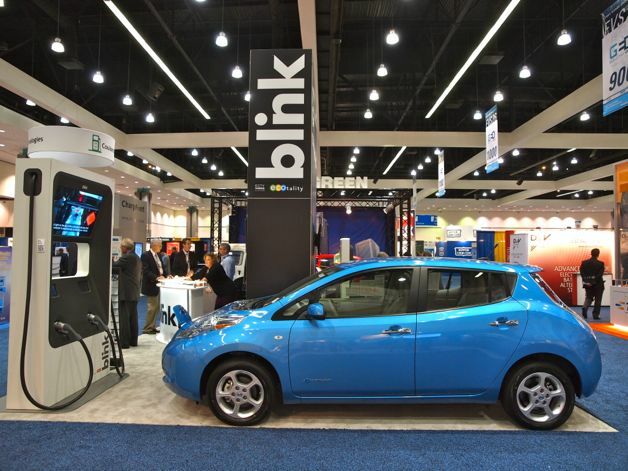 Ecotality makes plug-in vehicle charging stations under the Blink brand name, which some EV drivers have had problems with. Kroger will fund $1.5-million worth of installations at Kroger stores in cities such as Los Angeles, San Diego and Phoenix. Kroger already has 60 stations installed in Oregon and Washington, and 14 in Texas. The Cincinnati-based grocer is looking to lure what it hopes is a broadening number of plug-in vehicle drivers to its stores. Among retailers, according to US Department of Energy figures, Walgreens is by far the most active with station deployment, boasting 365 stores with stations nationally. 55 Kohl’s stores had public stations as of March 22, while Whole Foods was home to 39 stations. Overall, the number of publicly accessible charging stations rose about 9 percent during the first quarter to almost 5,700 stations, the DOE says. Check out the Kroger/Ecotality press release below. Kroger will add 225 fast-charging ECOtality stations in western US originally appeared on Autoblog Green on Wed, 10 Apr 2013 17:55:00 EST. Please see our terms for use of feeds.